Having the right tyre for whatever road conditions you face is essential if you wish to protect your drivers and those around them on the roads. We are proud to be able to offer Techron technology to our customers. It’s a new offering from ATS Euromaster and complements our expanding service, maintenance and repair offer. We’re delighted that yet another organisation has recognised our commitment and success in delivering a safe working environment, and we will continue to lead the industry by setting a strong safety culture example to all. 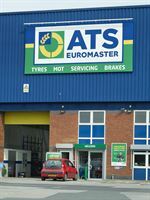 ATS Euromaster and Euro Car Parts have enjoyed a strong working partnership and we are delighted we have been able to implement a robust tyre policy which meets the company’s exact requirements. Winter tyres are traditionally fitted from October and we’re already getting requests from fleets to swap their tyres over. Customers are increasingly asking us to service tyres which are much larger than those we’ve traditionally dealt with. It’s critical to British Gas that our fleet is maintained cost-effectively and to the highest degree of safety. This new contract with ATS Euromaster has helped us to meet these challenges. We are delighted that ATS Euromaster’s continued dedication to improving health and safety standards has been recognised by such a prestigious organisation. Our 25 top tips booklet is filled with essential ‘need-to-know’ information and will serve as a useful tool to benchmark any van fleet. We’ve been really impressed with the quality of service provided by ATS Euromaster and their focus on health and safety, which is critical in the environment we’re working in. For winter 2012/2013 we ordered in excess of £10 million worth of cold weather tyres – 60 per cent more than the previous year, and we have seen the demand for these tyres continue to increase, as more fleets put them to the test and realise the benefits. We chose to put ATS Euromaster to the test based on the strength of its nationwide coverage and 24/7 mobile support. Stan Rudowski, Group Head of Health, Safety and Technical Services at ATS Euromaster. This new relationship with ATS Euromaster reinforces our belief that wheels should be supplied and inspected by professional organisations employing skilled technicians. The IMI courses allow our training to be 100 per cent focused around our direct needs. We looked at a number of options and found ATS Euromaster could meet our requirements head on. Quality of service is critical to getting the most from your rubber; ATS Euromaster looked after these tyres as if they were its own. We were clear from day one of this tender that we were seeking a service provider which was prepared to work in partnership with us. Fraikin is a prestige customer and is collectively responsible for some of the best-managed fleets in the business. It was a great account to win back in 2006, and we are delighted to have been reappointed. We’re driving a 20 per cent growth in key van fleet accounts taking advantage of our non-tyre capabilities. The plan is to continue introducing these new services to more locations within our network. When will the Chancellor realise that the country cannot get back on its feet if the cost of fuel is continually dragging businesses and motorists back down? 28 February 2017To access our latest press information, media gallery and PR contacts, please visit our new online newsroom at www.gk.news/atseuromaster This newsroom is no longer updated but will continue to serve as an archive. 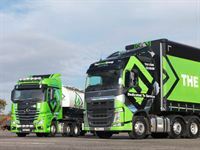 3 January 2017ATS Euromaster has secured its position as primary tyre supplier to major vehicle leasing and fleet management company Arval, which leases more than 150,000 cars and vans in the UK. The two companies began working together in the mid-1990s, with ATS Euromaster going on to secure the majority share of account in 2009. Following a recent tender process, ATS Euromaster was successful in retaining its position, with the new contract growing thanks to Arval’s acquisition of GE Capital Finance Fleet Services in Europe, putting a further 28,000 assets into ATS Euromaster’s care. 12 October 2016ATS Euromaster expert technician Lee Hayman has been crowned as REACT Roadside Technician of the Year at the National Tyre Distributors Association (NTDA) Awards – the second year running that the accolade has gone to one of ATS Euromaster’s team. Hayman, who works at ATS Euromaster’s service centre in Plympton, is a mobile technician in one of more than 820 service vans operated by the tyre and vehicle maintenance provider. With qualifications from City & Guilds in every type of vehicle tyre fitting and roadside breakdown, he specialises in truck tyre management.